The seahorse already had a slightly aged patina on the metal, but I wanted it to look like it came from the lost city of Atlantis (or Rapture!). So, I used a vivid teal and a rust red paint (along with lots of water) to give it a more corroded look. The teal I allowed to pool in the cracks and run down the body, while the rust I flicked on with the bristles of my brush. Note: the paints I used are acrylic, and so will come off with soap & water - but since this won't be handled by anyone I'm not worried about durability. I was surprised at how subtle the overall effect was; I had to keep going back and adding more and more color. As you can see, the finish doesn't show up very well from afar. I may go back and add even more "corrosion" later. The original chain was too long, so I swapped it out for a bit of broken necklace I had stashed away. Then I discovered that the longer chain was just the right length for the Gin tag. See? I was surprised by how much these dress up a plain glass bottle - verrry nifty. Plus, since I already had the little O rings & spare chain, both bottle necklaces cost less than $15. I'm pretty sure this is the best two-dollar necklace I own. I like the little hidden quote! Very apropos. As you've probably guessed, this is another piece for my steampunk dining room, which is coming along swimmingly. We're currently working on the leather-look curtains, but I hope to have more pics soon. I really must learn how to take good interior shots. This is only a small section of the full cabinet - there's much more above it - but it's my favorite part of the room so far. I love everything here: the Doktor A drawings, my diver dude, an Art Deco decanter we found at an antique shop, and the French antique opera glasses, which are on a pair of my gloves (also vintage). The gold stand was a $3 thrift store find, and the frames were $10 at Marshall's - John cut them to fit and refinished them. The globe is from Home Goods, and when the inset lights above hit it, it glows like burnished gold - really gorgeous. I think the beauty of steampunk is in its creativity: preserving and reusing the old while re-making the new into something richer. It's perfect for us craftsy types who can never throw anything away. :) Plus it dovetails nicely with the more eco-conscious, DIY mindset of today. But, that's enough of my steampunk fan girl ravings. Heh. Stay tuned for more pics as I have them! I love it. My next place is so gonna be a Steampunk decor! Oh. My. Gosh. Wanna trade houses? Or kitchens, kitchens would be nice too. I like kitchens. I love everything in this post! 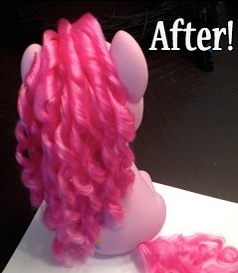 You did a great job with the seahorse. Can't wait to see your full room. 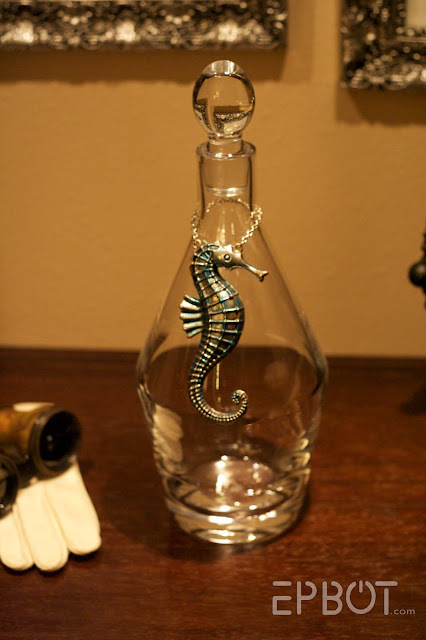 If you're worried about the finish coming off the seahorse, you could spray it with some clear satin. I really like how your seahorse turned out. You might be interested in the aging and weathering chemicals and other products on this page at Micro-Mark. Gorgeous job on the seahorse! Good to see that you're a fan of the good Doktor...I have a couple of his sketches too, they're wonderful. I was just telling my husband WHY your dining room was so cool. (Looks all antique-y and classic, but is sneakily sci-fi/fantasy) and he said "You my dear, are officially a nerd. Or maybe a geek." I though I hid it so well, lol! I actually like this blog BETTER than Cake Wrecks. 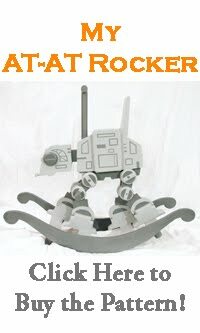 The cakes are cool, but it is your humor and geekiness that make it. I L-O-V-E steampunk! I also love your new blog!! It makes me laugh! Have you ever read Girl Genius? 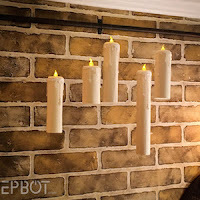 It is ver Gas Lamp/ Steampunk inspired it might be another great distraction for you, but start at the beggining!! And their shop has all sorts of fun steampunk pretty things! Holy crow I love that. I love ALL of that. And I have a penchant for all that is Steampunk. I already have Rennie garb, pirate garb, vampire garb... I've decided my next big bit of costuming will be Steampunk. Boing Boing (boingboing.net) has lots of super suh-weeet steampunk niftiness. Also, kudos on your craftiness. I love how you changed the seahorse. Antiques are great - very cool that you made something new look old. I LOVE that you cut off that dorky word. It really didn't make sense there. Wow I love that seahorse! Very cute now I want one lol. 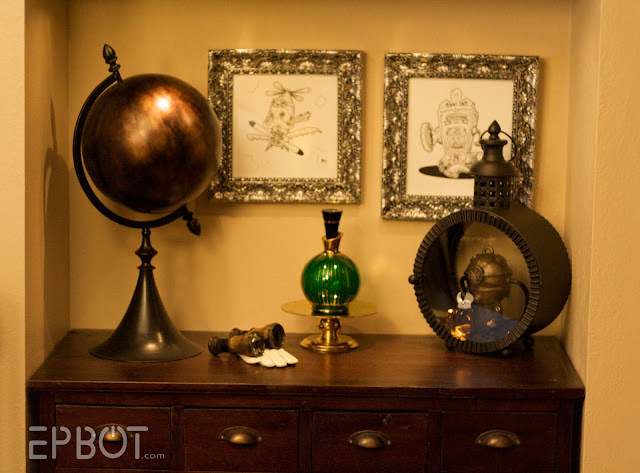 Wow, I want a Steampunk room so bad. Too bad it would not work at ALL with the furniture I already own. Also? I think I need a Gin heart chain thing. Love it! I saw those craft store clearance connectors the other day. I think there was a vodka one too. I really really like the seahorse. Wow, what an artist you are! I wish I had the time and imagination to come up with projects like that; maybe my summer break will bring a burst of creativity. Thank you for the inspiration! 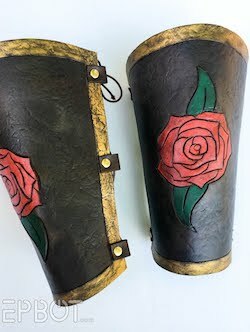 Also, if you're looking for more well-priced, beautiful steampunk art (with a slightly gothified aesthetic), check out The Gorgonist on etsy (http://www.etsy.com/shop/theGorgonist). She is very, very talented, and very nice-- I met her at the Asian Celebration here in Eugene, and I don't think I left her shop for more than a few minutes the whole time. Just so you know, not all her stuff is up on her etsy, so if you're looking for something in particular, you should contact her. I know she makes necklaces out of her work (I own some), so even if you don't want art prints, you may want jewelry. Jen, the Milwaukee Art Museum has a section of genuine cabinets of wonder that I saw last year. I was unaware of them before that. They were SO awesome! The idea of creating one for your dining room is fantastic. I just love it! These are really cool Jen! 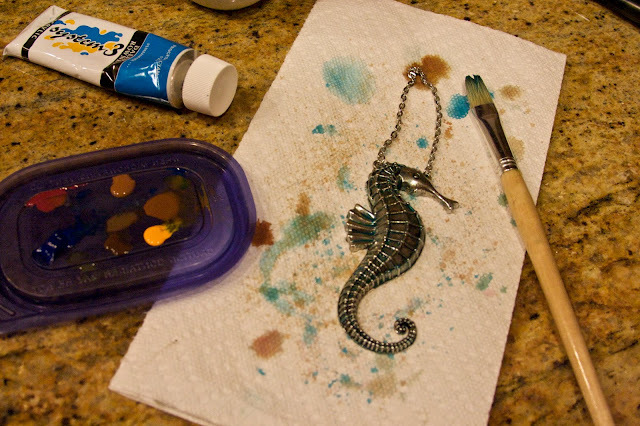 I love how you've used the paint to colour the Seahorse! Another great way to add patina and very cool colours and effects to metals is using Tim Holtz' Alcohol Inks by Ranger. They look awesome on metals and would give you the perfect effect you're looking for when you use the right colours. They also sell metal ageing patinas at your local hardware store. 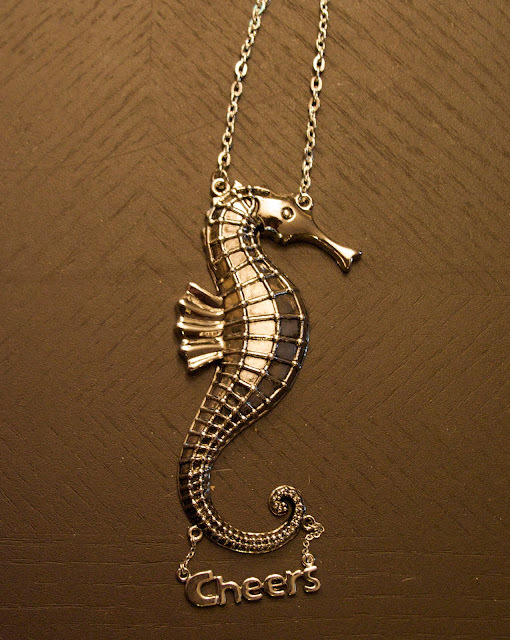 LOVE how the seahorse necklace turned out! 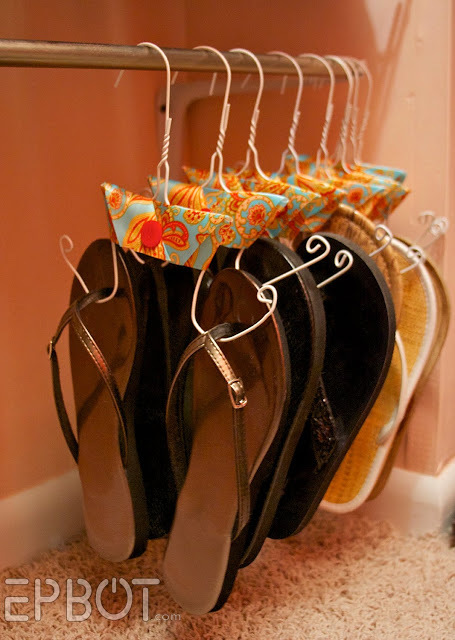 very genius idea :) MIGHT have to steal the idea, even!! so thanks for sharing! Love how your rooms coming along! Defiantly jealous!! Gorgeous! I love the seahorse! I wish I could decorate my house in Steampunk, but it all tends to be sharp/breakable/etc., and with three small kids, two disobedient cats, and a dog the size of a horse, it simply isn't practical. Our home has more of a "Spongebob meets Ikea" vibe. Very cool! It makes me want to get crafty. I have so many piles of crafts that I want to do...but I just end up procrastinating. LOVE, LOVE, LOVE it!! Well done! And I'm stealing the Socrates quote for today. Thanks for the post. I love the Steam Punk Dining Room... I might steal the idea. I love your bottle idea! The seahorse is beautiful. Thanks for the inspiration. The main thing you could do to improve your interiors is to white balance. Incandescent light is yellow, daylight is blue, fluorescent is greenish... any of them can screw up the colors in a photograph. If you're using Photoshop, go to Image/Auto Color [shift-ctrl-B] and then Image/Auto Tone [shift-ctrl-L]. Every now and then the results will be insane and you'll have to adjust colors and levels by hand, but for the most part these two tweaks will improve your shots a lot. Very nice work on the seahorse! And if you want to be technical, those "o" rings are called jump rings. Knowing that comes from messing around with bead jewellery. The first time I heard about Steampunk was on Cake Wrecks, you featured a Steampunk cake. Since then I've been fascinated. The seahorse is beautiul... so crafty. Love what you did with the seahorse. Very pretty! I loved the fact that you referenced Rapture. Does that mean that it's inspired by Andrew Ryan? I love every time you do a "here's my home decor" post. I always get these idea of how I want to do various parts of the house, but just can never seem to put it together. Kudos to you for pulling it off so well, and keep up updated! I just want to thank you for your blogs. I love cakewrecks and I'm enjoying this one just as much. 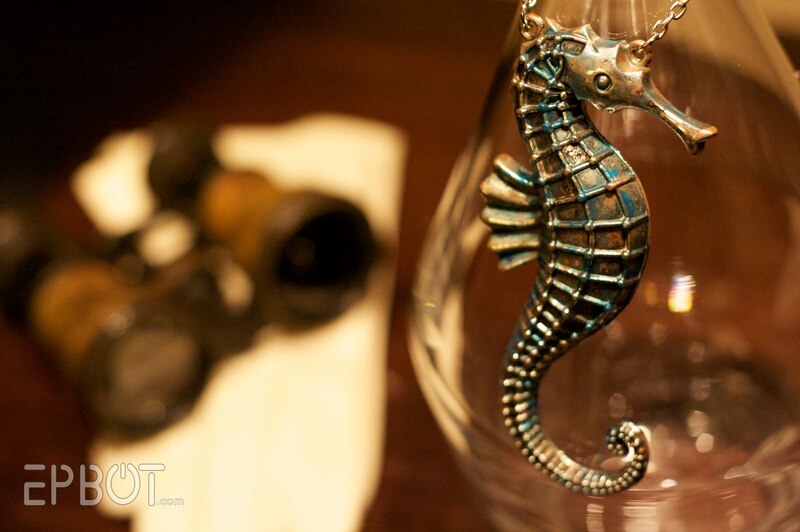 I love what you did with the seahorse, and your steampunk decor. Thank you for elevating my day. 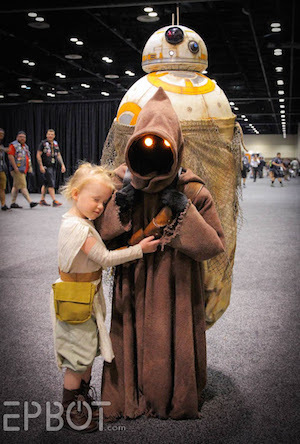 Hey Jen - this has nothing to do with the jewelry (although it is pretty) but just wondering - are you going to Orlando in August for the Star Wars Celebration 5 convention? And the Star Wars party at Disney to go along with it? Since you're a self declared geek, I thought it was right up your alley! My cousin turned me on to your blog yesterday. Love it! Love it even more now that I know you love steampunk! :) I dearly wish I had the nerve/talent to steampunk up my computer. You are so creative! It all looks beautiful! I wish you could come decorate my house!! I love Steampunk...but am a bit emabarassed as a 39 year old woman. I can't be the only one! 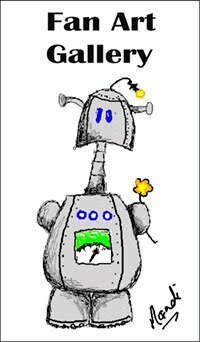 sahm3k, I'm 50, and I go to Steampunk conventions. And i'm far from the oldest fan out there. Hey, I just discovered the neatest gizmo for awesome interior shots. It's called a Lightscoop. It was only $20@ Adorama Camera, and it has done WONDERS for my interior shots! My babies faces don't look washed out anymore. I LOVE it. 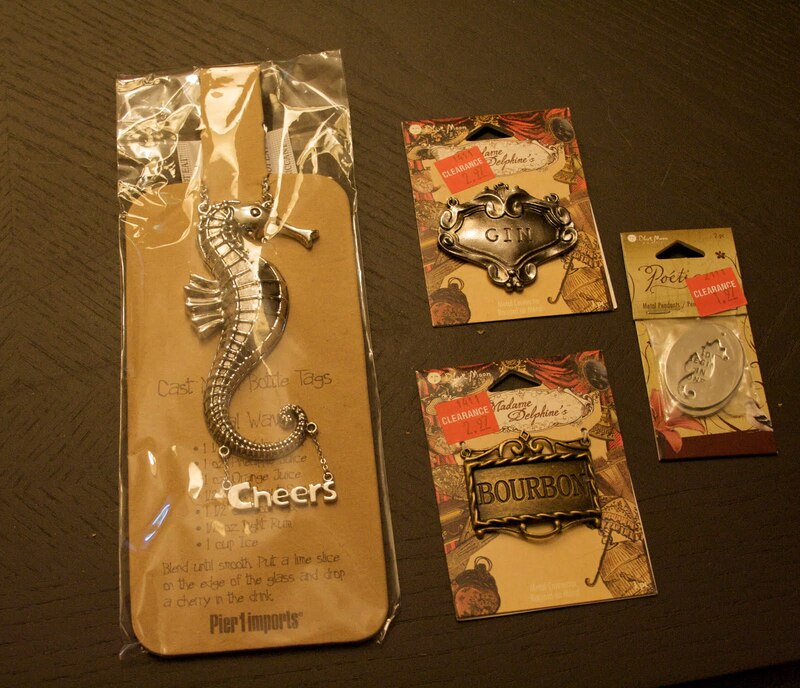 And I also have a thing for seahorses. Very cool. And steampunk decor = win. Your crafting and your photography are lovely. It's funny, I'm a steampunk fashion designer, but can't for the life of me get the home decor part down. Good job on yours! Seriously. I visit several interior design and regular design blogs daily, and this is the best and nicest idea I've seen in a very long time. And it fitted right into your lovely and original dining room. I love that you painted the seahorse to make it look more corroded. 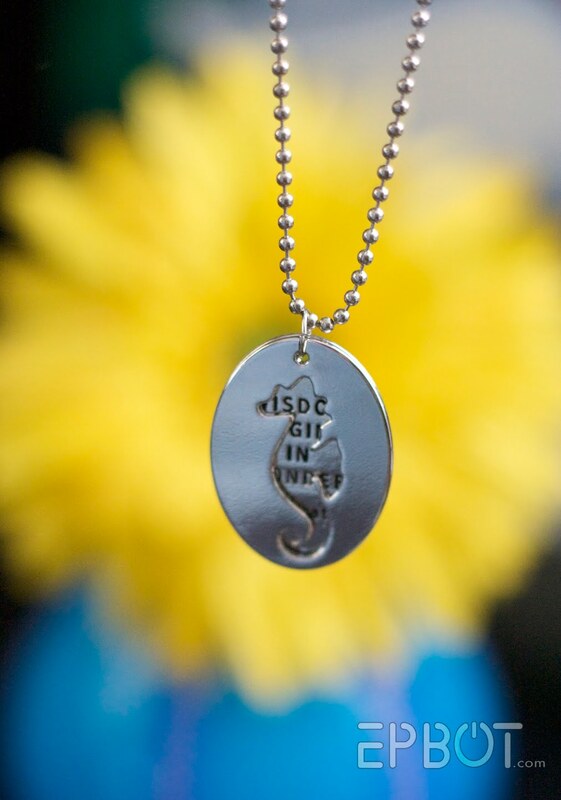 And I think that necklace is su-paa cute. LOVE what you're doing- I'm inspired to redo my dungeon of a basement (and yes, I do mean dungeon. 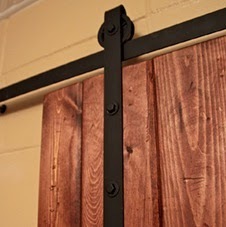 We even have brutal iron wall-hangings). On a side note, should you decide to don the beeeautiful seahorse, no worries about getting it wet- acrylic is only water-soluble when wet. Once dry, it's more or less plastic :) Tempra's the stuff to watch out for, that'll come undone like water on Elphaba. Those are amazing! I wish you would post more crafty stuff. Steampunk for the win! 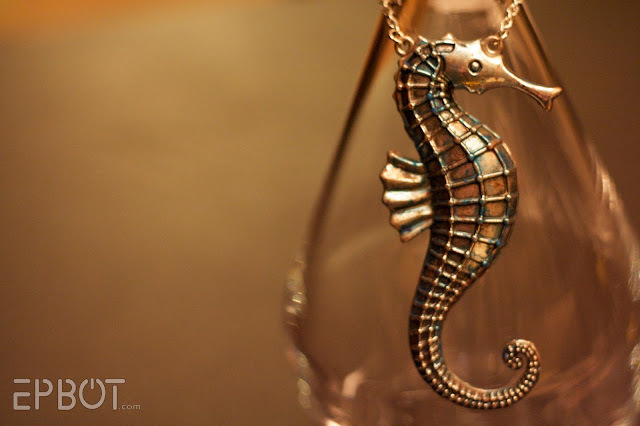 I would be incredibly tempted to wear that first seahorse as a necklace too, but then I'm into big funky unusual jewellery. What a great idea. I'm really enjoying your new blog so far! Those are all really great! Please, tell me where to find the liquor bottle tags? They are expensive at the liquor supply stores and on Ebay. I really like the antiquing you did on the seahorse, letting the tealy color pool really gives it that under-the-water-for-years feel. I do have to admit I'm jealous of your steampunk decorating, somewhere between my leatherworking supplies taking over parts of the house, 8 cats and two people who clutter I just would not be able to do anything like that. That's awesome. I remember when my local AC Moore had a whole endcap of those Madame Delphine's items...I cleaned them OUT! :D I must've gotten just about one of everything. And I never could find out much about that particular line and now it's mostly gone. Uber-weird! PS--I like to put neat "patinas" on metal with the air dry glass paints you can get at craft stores, mixed with a lot of the clear coat of the same line. It's called Delta PermEnamel I think. I love that stuff! He has the coolest little treasures! Micheal's just added a line of charms and parts from Susan Lenart Kazmer that are to die for! Her jewelry is really awesome, too, all upcycled and aged goodness, though uber-expensive now. Next time, instead of having John cut the loops off, just remove the charm and add some crystal dangles for an effect more like the Steampunk jewelry. Also, instead of regular chain you can try rosary chain, which has beads strung on each link. It's also easy to make youself if you find some great old looking beads. For basic jewelry how-to's, check out beadandbutton.com. Yes, I make jewelry, and as soon as I get a site up I'll send it to you. On a more personal note, I want to thank you for all the laughter. I've been extremely sick, and finding Cakewrecks was wonderful--I read through the whole site! I'm enjoying your sharing of beauty and wackiness on this blog, too. Have you looked here at their steampunk stuff? Very nice Jen! I love the DIY home decorating stuff, especially when you can find inexpensive pieces and customize them to fit your home. You would love Thrifty Decor Chick. 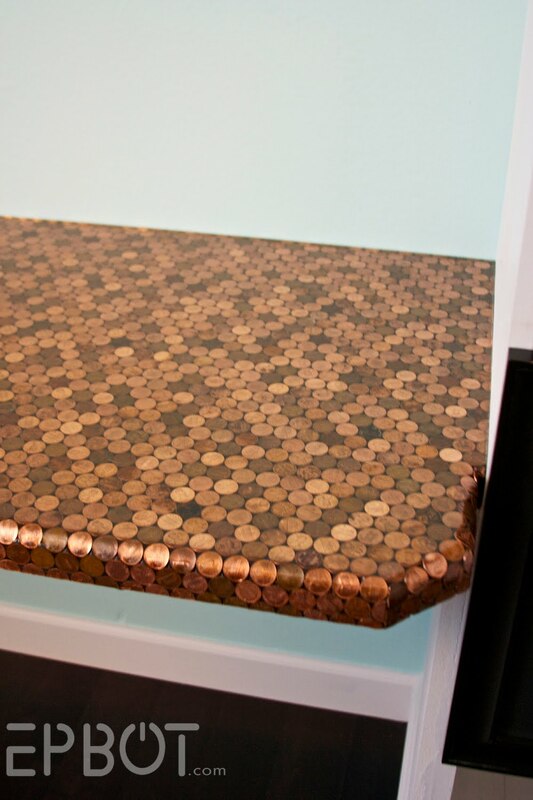 She's got some great ideas for decorating on a budget. STEAMPUNK DINING ROOM!? That. Is. Awesome. The coolest thing I've ever done is had a LOTR living room when we were first married. Then we moved and had a baby. Couldn't have all that stuff laying around for little mouths. But now that's she older...I like this steampunk as home decor idea. 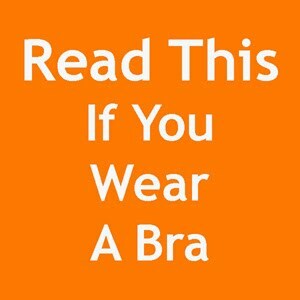 Wish I'd thought of it sooner! I was out garage sale-ing this evening and was looking at some old broaches - you know, the kind your grandma used to wear? They were both flower-shaped - one is the size of the palm of my hand, the other is a little smaller. When I saw them, I remembered this post, so I bought them both (for a quarter! ), found some chain I had lying around at home, cut it to the proper size and slid it down the pin, clasped it and viola! 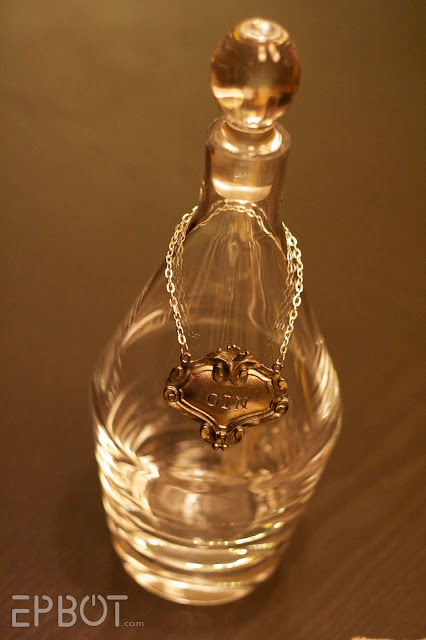 Bottle necklaces! Thought you might like this idea for the next time you wanted one! I just got back from my honeymoon in Antigua, and at the gift shop they were selling that same seahorse bottle charm thing!! so then that made me nervous about the other stuff for sale, can i get that stuff at the pier one back home too???? um, I love everything you write, craft and comment on! I am finally posting a comment cause you love seahorses, too! its just too much for me...the girl who has a Coach seahorse purse dangle (ok, meant to be a cell phone charm, but the BB doesn't have the hook), seahorse stickers and shirts, and a classroom full of 2nd graders who know everything about seahorses since their teacher loves them. yay seahorse! 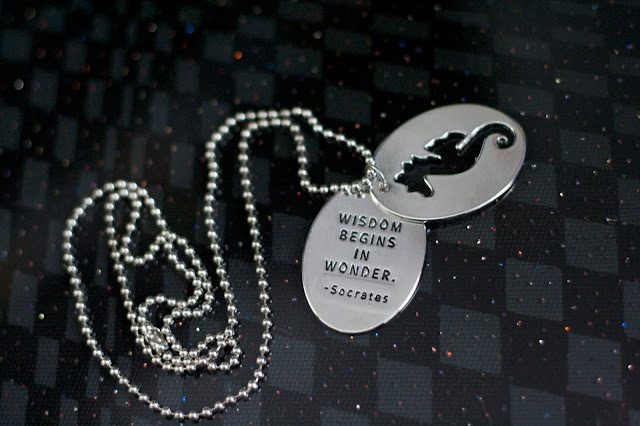 Can I just tell you how much I love that quote by Socrates? It is so true: our wonder causes us to investigate things, which leads us to wisdom. I would love to learn more about crusader swords, and I love the way you write. Do you have any information on crusader swords? Thanks! Your writing skills are awesome...laughed a lot. Love your creations and your blog.